Celebrate the holidays by lining up festive seasonal shapes against winter snowscape backgrounds, but don't chill out too much or the candle will burn out before you've cleared the grid! Swap shapes to score points with the help of exploding puddings, shooting stars and crazy crackers, topped off with some of your favorite Yuletide tunes. 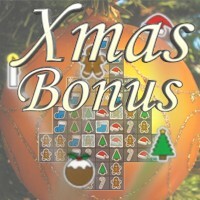 Come and join the fun and give yourself a little Xmas Bonus today!